Go red in the face - with joy! According to works' information, the Ferrari F12 Berlinetta is the fastest Ferrari ever to be licensed for road use! The real road model has a 6.3-litre, V12 engine that produces 740 bhp, plenty of forward momentum and a breathtaking top speed of 340 km/h. On your track at home it's your skill and precision that decide who clocks up the best lap times. The 1:43 scale Carrera GO!!! 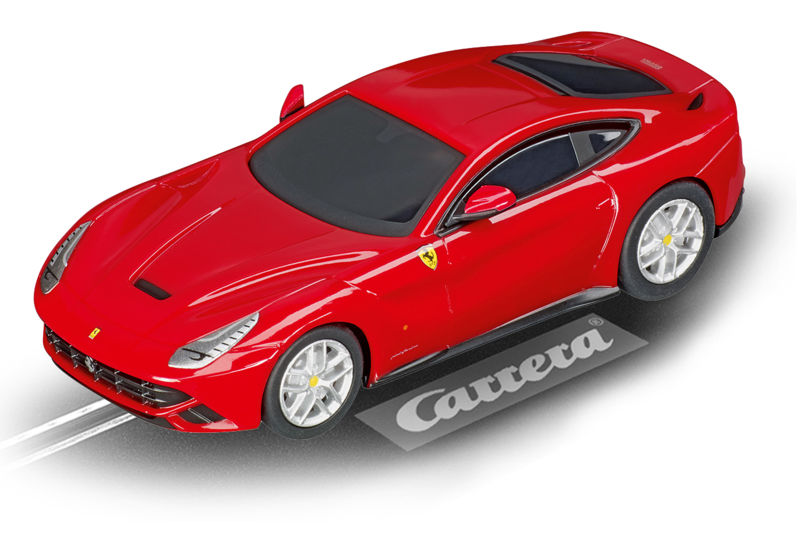 Ferrari F12 Berlinetta sloctcar wins new fans everywhere with top quality authentic details. This car provides a perfect introduction to the Carrera racing world for children of 6 years and up.